At our weekly meetings we discuss political news and plan upcoming events. They are held from 5:00 to 6:00 on Mondays in Uris 262. If you would like a particular topic covered at one of our meetings or are interested in speaking at a meeting, please contact Michael Johns or any e-board member. 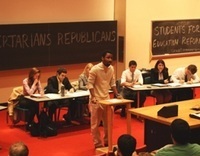 The Cornell Republicans participate in several debates with the Cornell Democrats and Cornell Libertarians each year. All members are welcome to participate in preparatory research debates. If you would like to suggest a debate topic, please contact Michael Johns. We have plenty of opportunities for the general body members to work with the executive board on our committees. Those interested can visit our committees page under About Us, or contact one of the e-board members with questions. 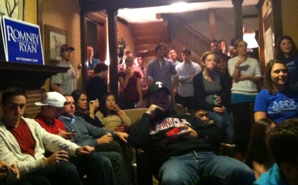 The Cornell Republicans hold social events and networking events with other conservative and political groups on campus, allowing us to get to know each other on a personal and professional level. Elections can be an exciting time for politics at the national, state, and local level. The Cornell Republicans take an active role in campaigning at all levels and even run candidates in local elections. Conservative candidate across the region ask the Cornell Republicans for campaign support, which we proudly provide. The Cornell Republicans hold an annual fundraiser for the Veterans of Foreign Wars, and participate in philanthropies alongside the Cornell Democrats. Additionally, our members construct a memorial on the Arts Quad to honor the memory of those who lost their lives on September 11, 2001. We also volunteer for the Tompkins County Veterans Day parade. 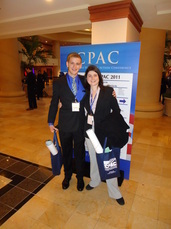 The Cornell Republicans attend the Conservative Political Action Conference (CPAC) in Washington, DC every year. This event features speeches by many of the leaders of the conservative movement and provides an opportunity for Republicans from all across the country to network. Additionally, members of the Cornell Republicans attend the College Republican New York State Conference in Albany each year.